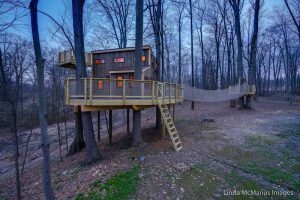 Whether or not you fondly recall the “Tarzan” books and films, the “Swiss Family Robinson,” or a favorite childhood tree house, a modern version has just been completed for Lambertville resident Andy Overman, and it’s a dream come true for family members and house guests. 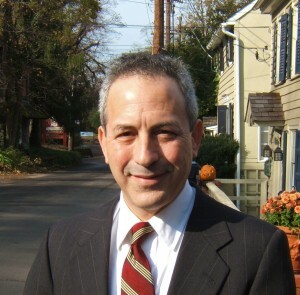 Overman, a physical therapist, lives with his wife, two children, and their dog on 15 acres just off Rocktown Lambertville Road as it crosses into West Amwell. 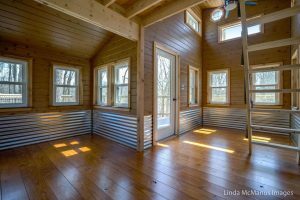 The tree house took six weeks to build, and was finished just last month, but Overman and family seem already taken with the place. “Four of us can sleep in there comfortably with our dog,” said Overman, adding that they’ve been using futons and mattresses to start. “The tree house overlooks a valley with springs, and you can have a bird’s eye view while you enjoy a glass of wine and listen to the leaves rustling,” he explained. 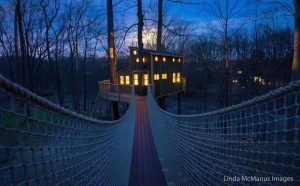 Designer Tanya Breck runs the tree house division of West Chester-based Tree Top Builders, which has been making tree houses around the country since 2003. 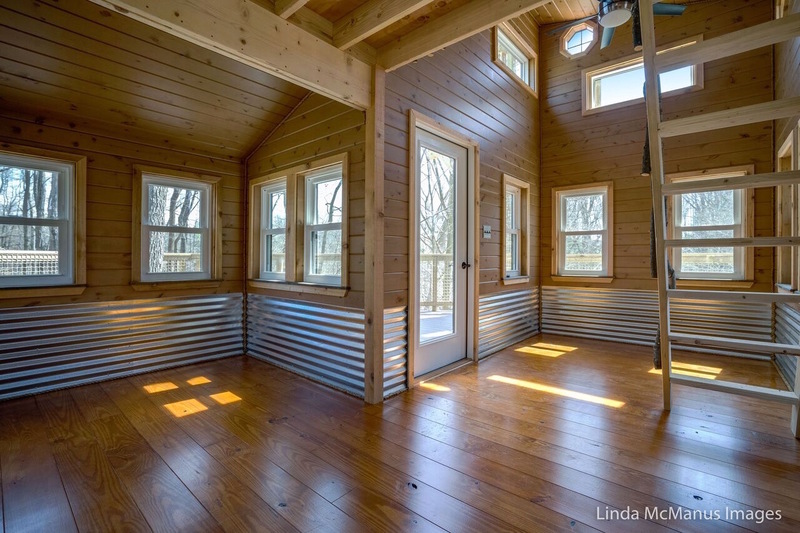 With more than two decades of interior design experience, Breck was able to create a plan that is at once playful, practical, minimalist, and rustic. 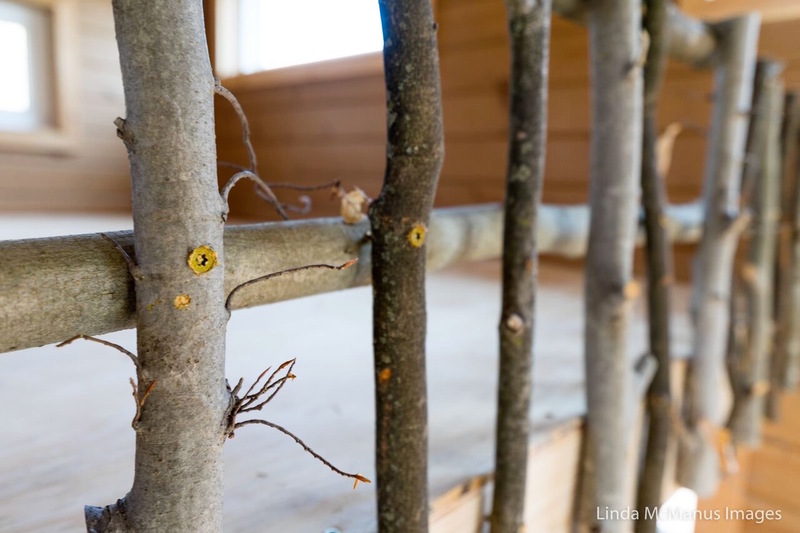 “Our projects have morphed from kids’ tree houses to resort tree houses in Panama,” Breck said. Overman and family are thrilled with the result. “As a family, it’s a dream come true,” he said. 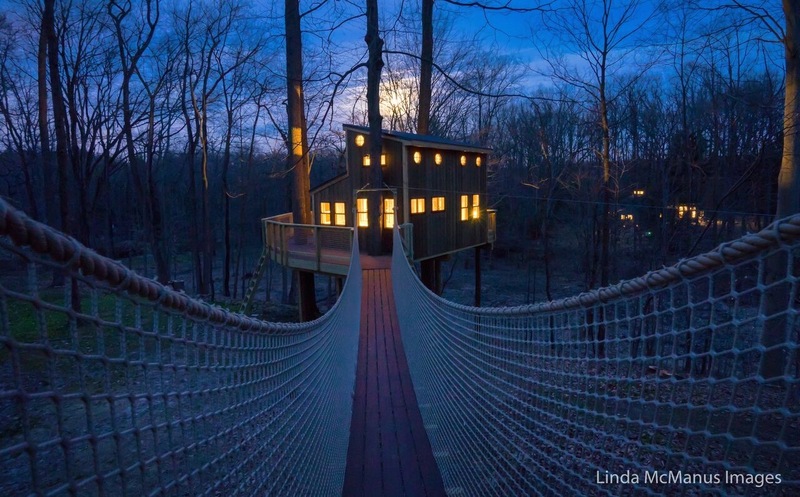 Lovely treehouse. I wonder if Overman takes his “favorite” clients up there. 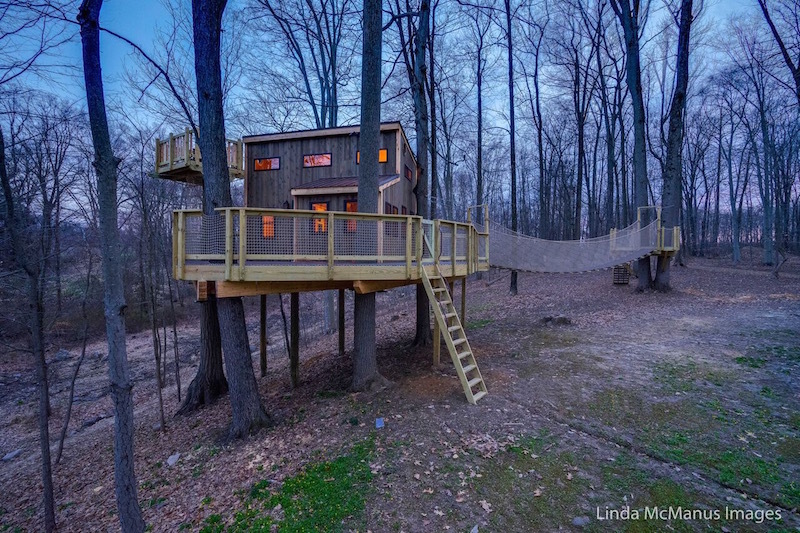 Great treehouse! I hope you are active in fighting the proposed PennEast Pipeline – sounds like it will be very close to this beautiful spot.